Belmont Lexus Service and Repair - 5 Star Auto Service Inc.
+ $8.25 Certificate. Good for most vehicles 2000 or newer. Coupon must be presented in advance. 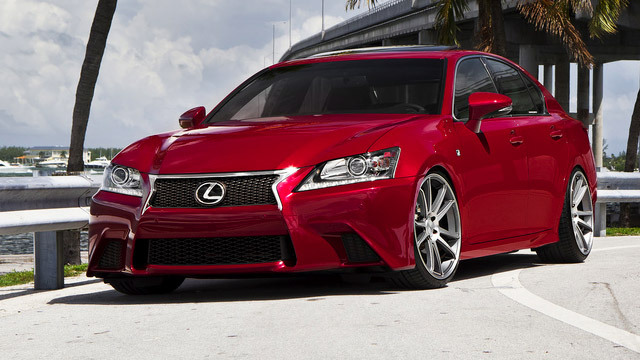 Has the time come for your Lexus to be serviced and repaired? If your answer is yes, head on over to the auto mechanics at 5 Star Auto Service in Belmont. Our technicians are ASE-Master Certified and ASE-Certified auto technicians with many years of experience servicing and repairing both imported and domestic vehicles, including your Lexus. Plus, we back our auto repair with a warranty. Because we know you have places to go, people to see, we encourage you to utilize our shuttle service within the vicinity of Belmont while your Lexus is being serviced. If you have a quick email to write, get right to work in our waiting room, complete with fresh coffee and WiFi. Our location is easily accessible to both Starbucks and Safeway. If you would like, you could check grocery shopping and auto repair off your to-do list all at once. For an auto repair shop that is the embodiment of the American Dream, hard work and determination, turn to 5 Star Auto Service. Bring your Lexus to our auto mechanics, and we will go that extra mile to properly service and repair your car, even performing a safety check and offering you shuttle service within the vicinity of Belmont. Schedule an appointment online, or stop by our shop at 1444 El Camino Real, Belmont, CA 94002.